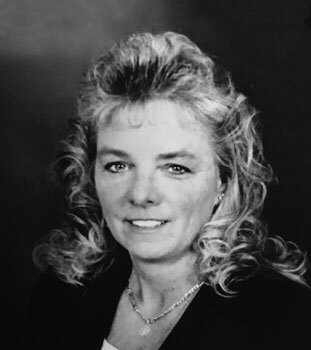 Becky attended Catholic school through her middle grades and finished her secondary education at Buckeye Local School District where she graduated high school in 1981. During her high school sports career from 1978 - 1981, Becky was a four-time softball letter award winner. She dabbled in Basketball lettering throughout her high school years. After high school, she continued her softball prowess playing fast pitch and slow pitch during the summer and fall months for women, men and co-ed teams. For the duration of the next seven years, Becky’s focus turned from softball to a more intimate life; she married and had three wonderful children. But, there was always something missing. She knew how much she loved the game of softball; how could she possibly train and play with her plate this full. After a long debate with family, friends and, of course, her father, Becky returned to the field. In 1988, she enrolled at Ashland College, now Ashland University, and was going to play softball and earn a degree in education. For the next four years, Becky buckled down and raised her children, studied the pedagogy and played her passion. Becky would graduate in 1992 with academic All-American honors, and during this time, she would rack-up some incredible softball statistics and awards. Becky’s stellar career did not end here. She began coaching children’s T-ball shortly after graduating college, and, as equally impressive, in 1994 she was selected to participate in the Olympic trials. Although her Olympic dreams fell short due to a game winning injury, Becky’s passion for helping others blossomed. She began fostering children, spent ten years teaching in the Galion City Schools, graduated the top of her class in the police and corrections academies as Class President which allowed her to spend twenty years in the law enforcement K-9 division for Ashland and Huron counties. She received the 1998 D.A.R.E marksmanship “TOP GUN” Award. She was the Hostage Negotiation Commander during her prison career. She started in corrections as an officer and moved her way up the ranks to include Sergeant, Lieutenant, Training Director, Captain, Unit Manager administrator, Deputy Warden of Operation then Warden. She Graduated with Honors from MTC Corporate University Management Develop Leadership Program. She received the Freedom Salute Commendation for support and sacrifice as an Army Employer. She was a 4-H advisor and president of the Ashland county baseball association and coached girl’s fast-pitch to the 2004 World Series. Today, Becky is the Deputy Warden at North Central Correctional Complex, privately operated by Management and Training Corporation. To this day, she spends many of her working days mentoring inmates, at risk youth, and staff. Becky would like to extend a thank you to those individuals whom she owes a great deal of gratitude. Without their support, she would not be who she is today. Dad (her first coach and mentor) ,Jim Nicholas, Pat & Joe Law, Leo Sparr, Jane Cullin and Karen Linder, Terry Wilcox(Olympic Coach) James Jenkins Jr (her son who spent several years in the dugout in his playpen), her brothers Mike, Brian, and Tim Joyce (For pushing her to be a good athlete), her sister Kelly (Joyce) Lockard (who could have been a star pitcher but chose make-up and boys… Uggh), Her step-dad Joe Surmitis (who cheered her on prior to meeting her mom), her mom, Donna Joyce Surmitis( for the unique methods of making her run fast), her Uncle Sonny (Andrew Kavc), her teammates, The Ashland Flames Softball team, her Correctional and Law enforcement brothers and sisters.